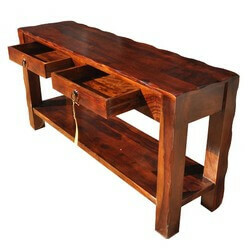 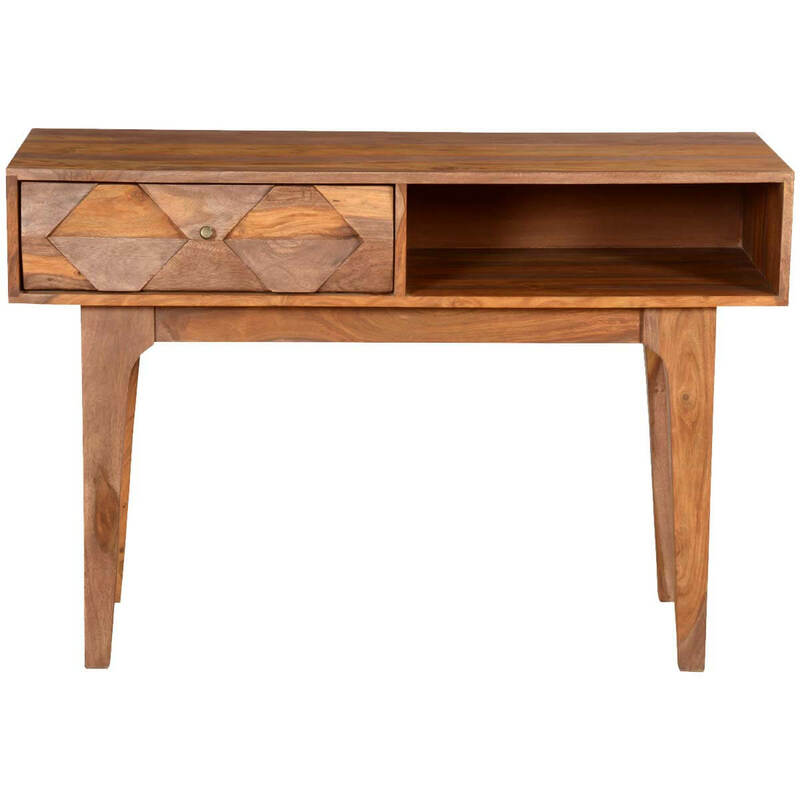 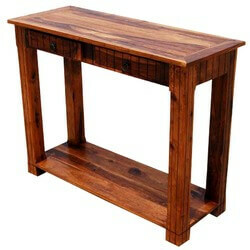 Our 1960’s retro line of hand-carved furniture adds a touch of rustic nostalgia to your interior design. 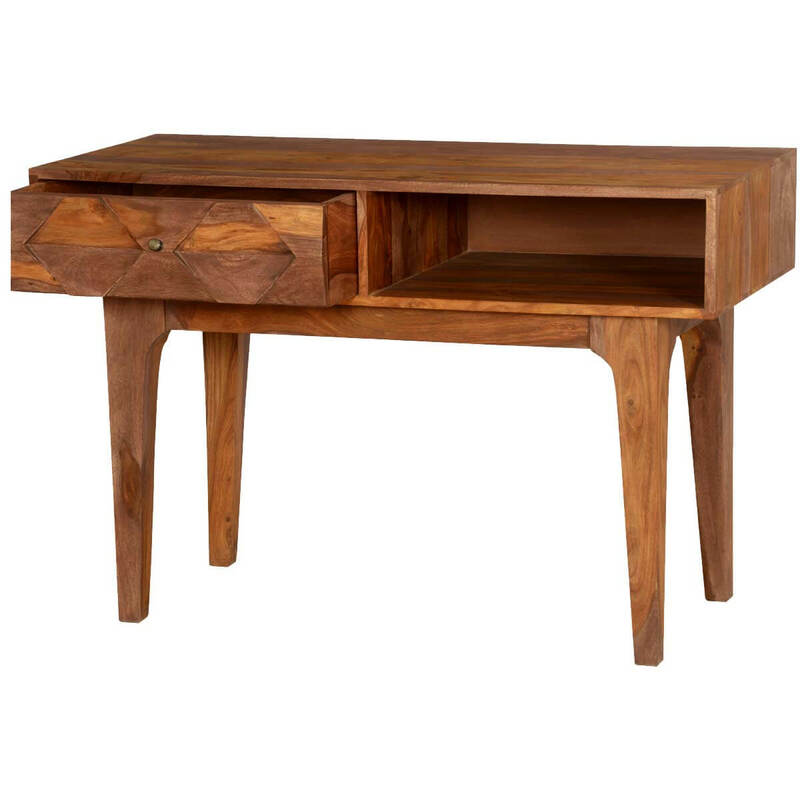 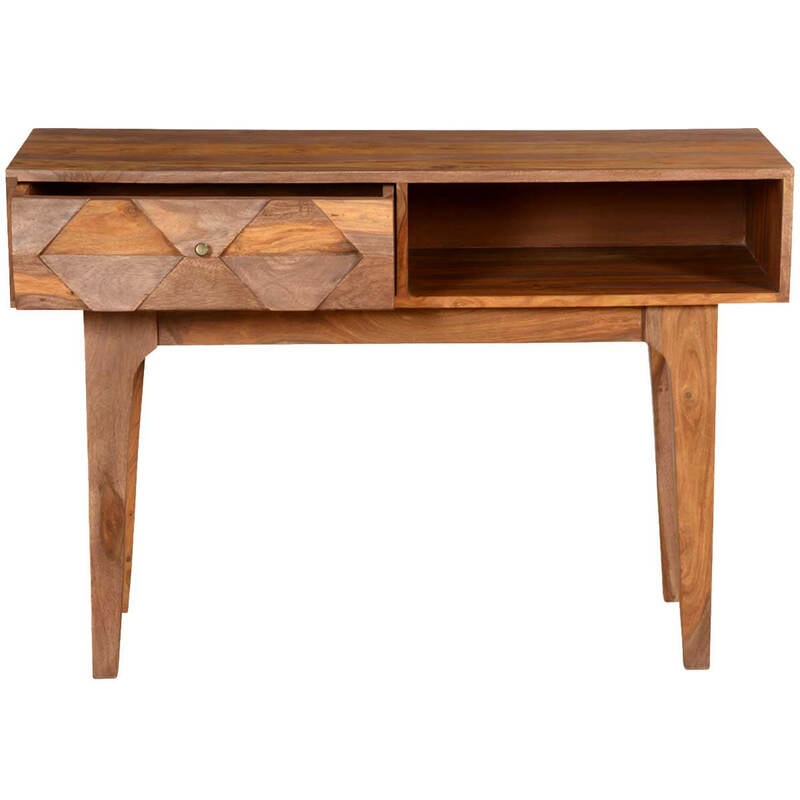 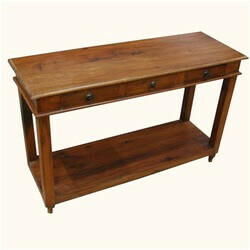 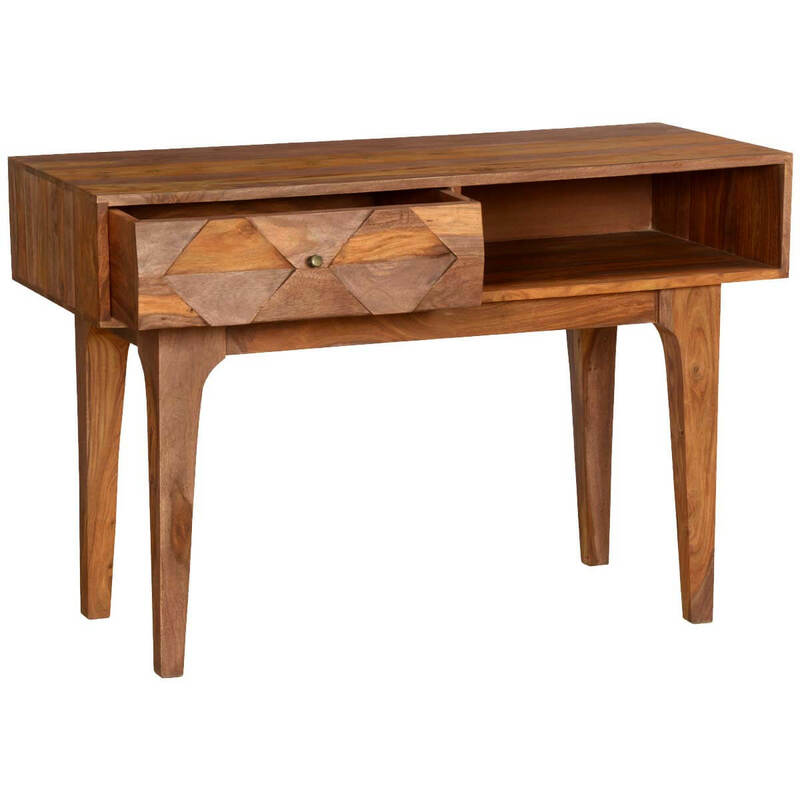 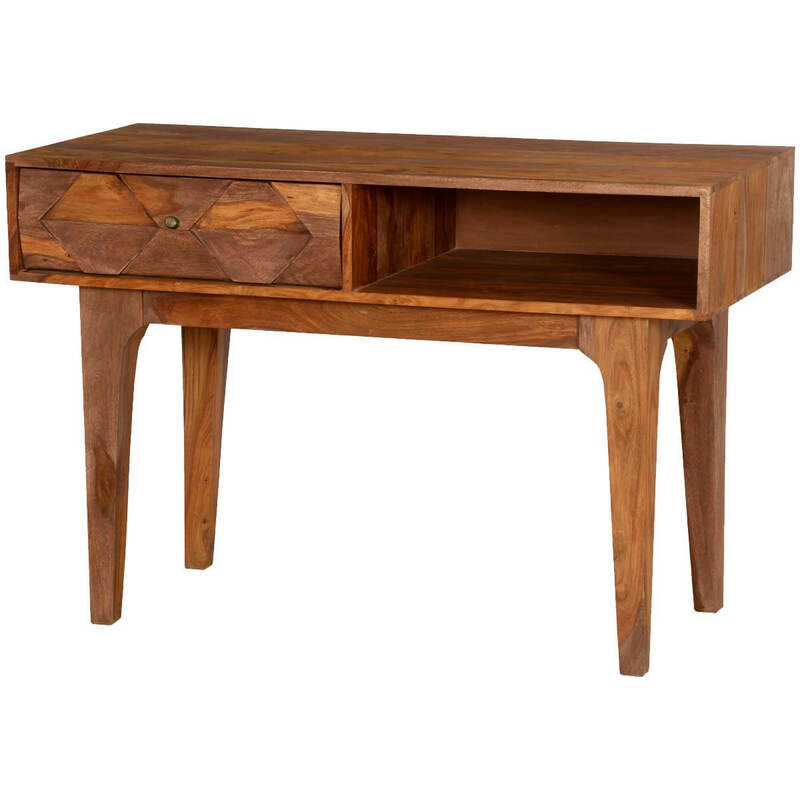 The Hand Carved Diamonds Solid Wood Hall Writing Desk can also be used as a little desk where you need it the most. 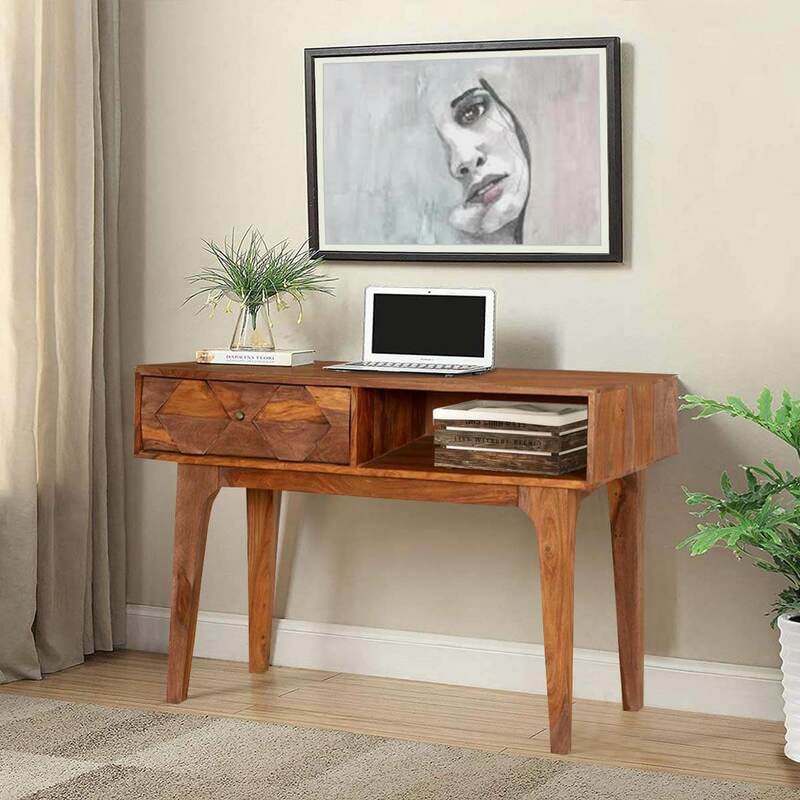 Place it in the hall or kitchen and always have a place to write, think or pay the bills. 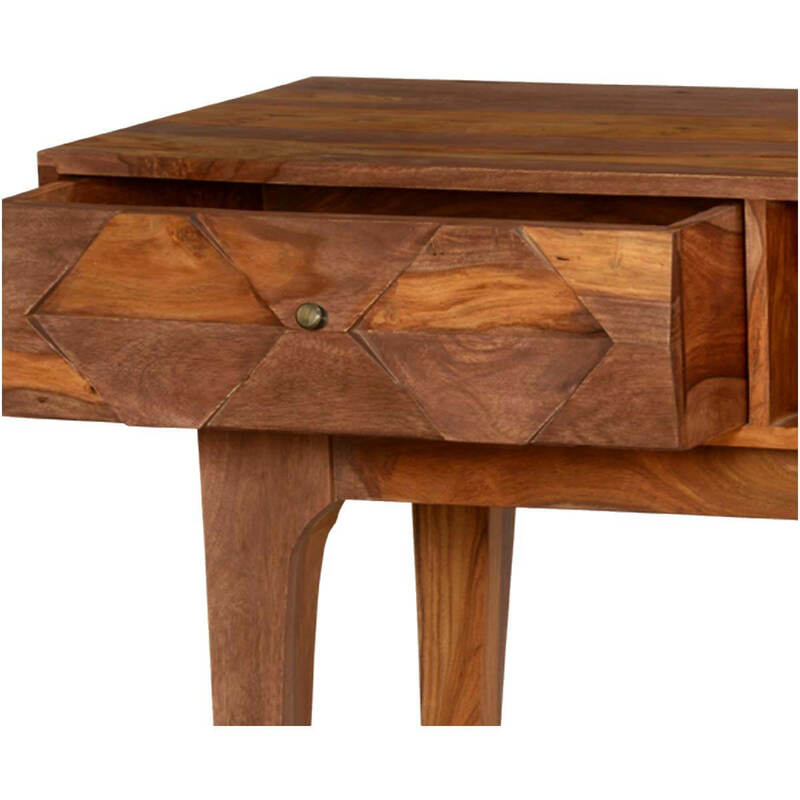 The convenient drawer with the hand carved diamonds and the open side space gives you just enough room for your essential stuff. 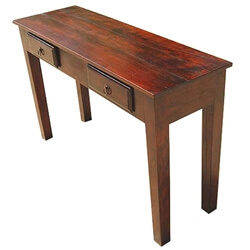 This elegant nostalgic hall console is built with Solid Wood, a premium hardwood ideal for furniture because it is both strong and durable.